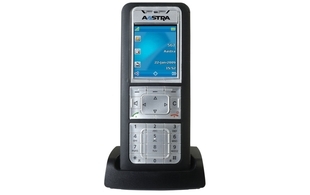 The Aastra 630d satisfies industrial standard IP 65 and with its high level of dust protection and jet-resistant it can be used anywhere outdoors or in production. It is very easy to clean and complies with high hygiene requirements, making it ideally suited for the healthcare sector, too. With its integrated sensor alarm the phone is ideal for security professions or the prison and detention sectors. 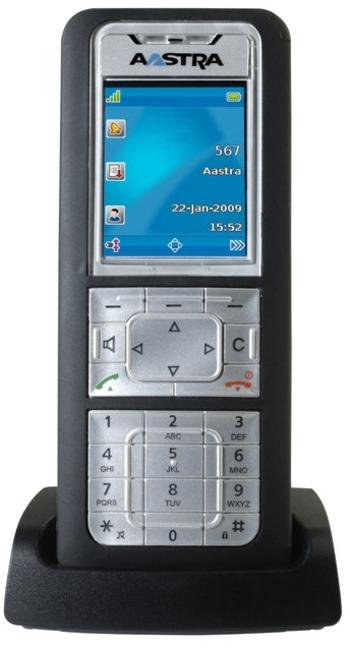 Up to 512 handsets can be deployed using up to 256 IP Base Stations / access points.